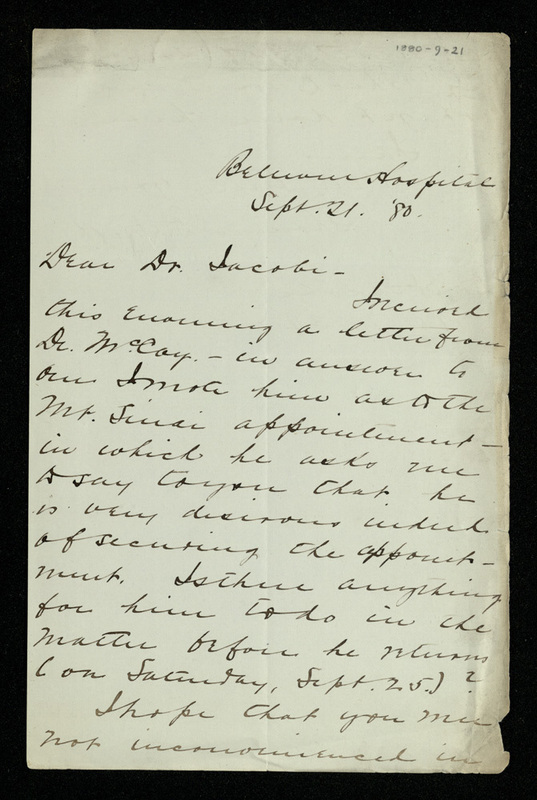 Correspondence between Abraham Jacobi and Mount Sinai Hospital in New York, N.Y.
Abraham Jacobi, pediatrician, was born in Westphalia on 6 May 1830. He was married three times; his third wife, Mary Corinna Putnam Jacobi (1842-1906) was also a physician. Jacobi died on 10 July 1919. Jacobi received his M.D. from the University of Bonn in 1851. After imprisonment for revolutionary activities, Jacobi came to the United States and began a medical practice in New York in 1853. In 1857, he was Attending Physician to the German Dispensary and lectured at the College of Physicians and Surgeons on the pathology of infancy and childhood. From 1860 to 1864, he was Professor of the Diseases of Children at New York Medical College and established the first pediatric clinic there in 1862. From 1865 to 1870, Jacobi was Professor of the Diseases of Children at the Medical School of the University of the City of New York. From 1870 until his retirement in 1902, Jacobi was Clinical Professor of the Diseases of Children at the College of Physicians and Surgeons at Columbia University. He was noted for his studies of diptheria, infant hygiene, and dysentery and advocated the boiling of milk. Jacobi also organized pediatric departments at Mount Sinai Hospital and the German (later Lenox Hill) Hospital in New York. He became an Associate Fellow of the College of Physicians of Philadelphia in 1891. Jacobi, A. 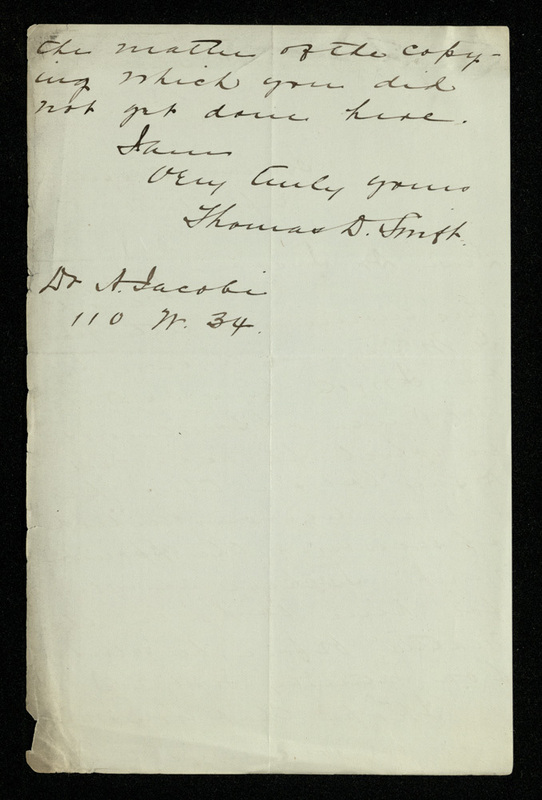 (Abraham), “Abraham Jacobi letters relating to Mount Sinai Hospital, New York ,” The College of Physicians of Philadelphia Digital Library, accessed April 24, 2019, https://www.cppdigitallibrary.org/items/show/7015.